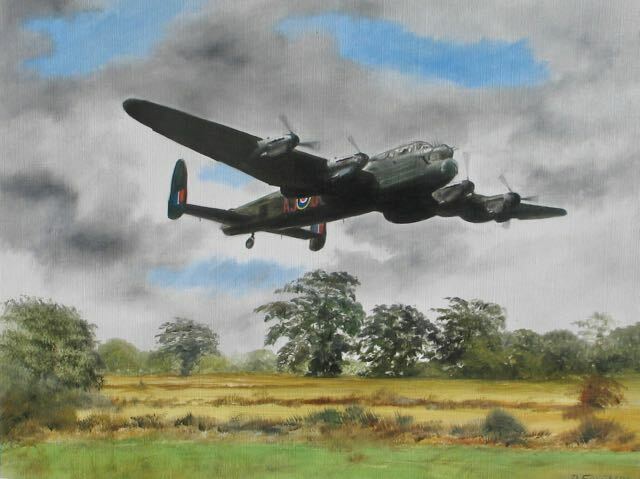 Beautiful original oil on heavy paper painting of a Lancaster bomber flying low somewhere over Europe. 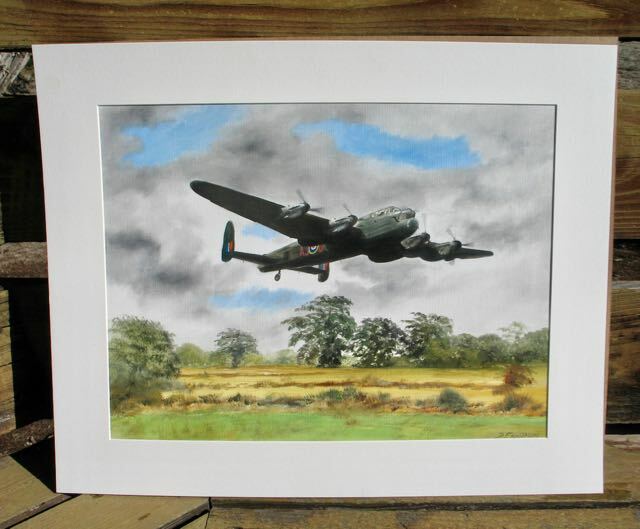 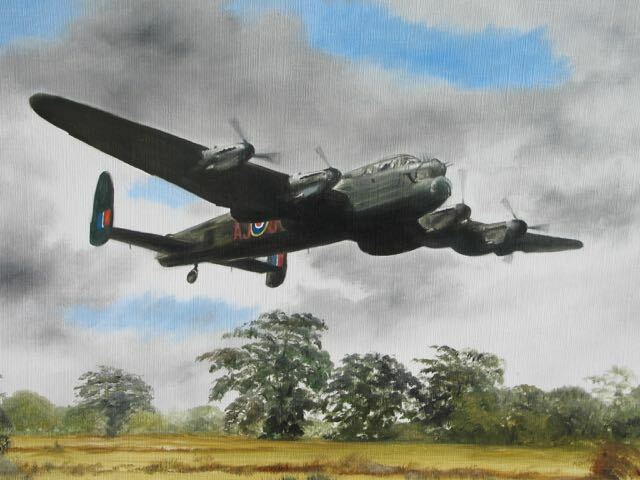 This painting comes matted but not framed and would make a fantastic gift for any WW2 Veteran or Veteran's family member, especially for those that flew the Lancaster. 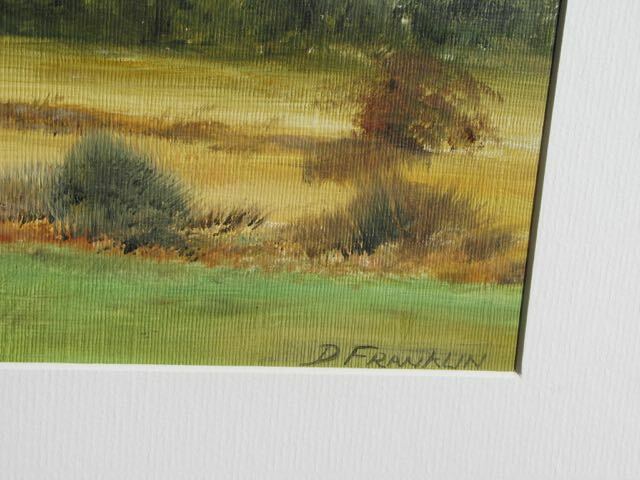 Image dimensions: 15.5" x 11.5"